One of the frustrating things about using timecode systems is that they require an official soundcard that works with your DJ software of choice. If you want to use an alternative piece of hardware, you’re out of luck. Today we’re sharing a tutorial found on YouTube from “DJChadG” on how to get a mixer (in this case the DB2 or DB4) working with Traktor Scratch Pro. Warning: The steps below may damage your installation of Traktor. Back up your entire Traktor folder (you should have a regular backup scheduled anyway) and don’t be surprised if things act strange. Always test any type of modification extensively prior to using it in a live performance environment. Hex Editing: It’s a little scary, so make a backup. Scratch functionality in Traktor Pro is limited to specific audio cards and mixers that are officially Traktor Scratch Certified – often times as a result of a hardware partnership of some kind between the hardware designer and the software developer. This is the same with Serato Scratch Live (although there’s not yet a similar hack). The way this process works is by adding the ID number that your USB device sends out to a group of devices that are marked as Traktor Scratch compatible. It does involve using an advanced hex editor, but nothing too complicated. Download and install a hex editor if you don’t have one already. Hex Fiend is recommended. With Finder, navigate to Applications, Native Instruments, Traktor. Right-click Traktor.app and click Show Package Contents. Navigate to Contents, MacOS, Traktor. Make a backup of the Traktor file and place the backup on the desktop. Once a backup is created, open the original Traktor file with Hex Fiend. With Hex Fiend, turn on overwrite mode via Edit, Overwrite Mode. Perform a text search for “Xone:4D” without quotes. Since you should already have a backup created, go ahead and save the file. Load up Traktor and you should be able to use timecode. Your sound card / mixer may require a bit more configuration as discussed in the video. At this point, if you own a DB4, you’re done. Scroll up until you see your sound card listed. Take note of the name. 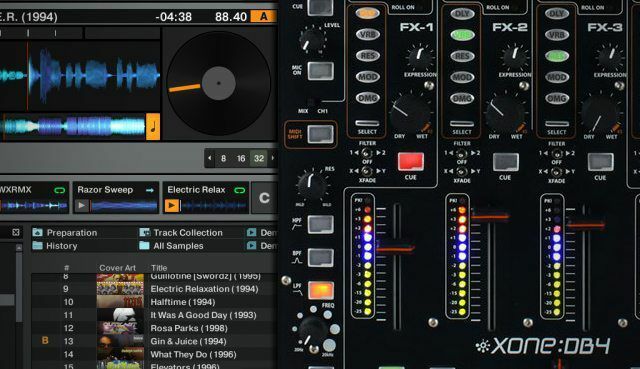 Open up the Traktor executable with Hex Fiend and search for “Xone:4D” as described above. Follow the same steps, except replace the entire “Allen&Heath…” entry with the name of your sound card. It needs to be exact! Then fill in the leftover bytes with hex “00” until the start of the next certified sound card. Save the file, start Traktor, and configure your sound card accordingly. Need help or need to see if someone else has succeeded with a piece of hardware that you want to try it on? Check the YouTube comments or this reddit /r/DJs thread. Do this on a backed-up copy of Traktor. It may break your installation. Don’t use this live – it’s a hack. If you want guaranteed crash-free solid performance, get hardware that’s certified, supported, and tested by the developers. This could very easily not work in the future. Native Instruments could find a way to patch this so it’s not possible on future versions of Traktor. Note: In the past posting about this type of software modification has been restricted on the DJTT forums in an attempt to curb software piracy. There’s an ongoing discussion here – we encourage everyone to discuss this and help determine what our community values are around this subject.